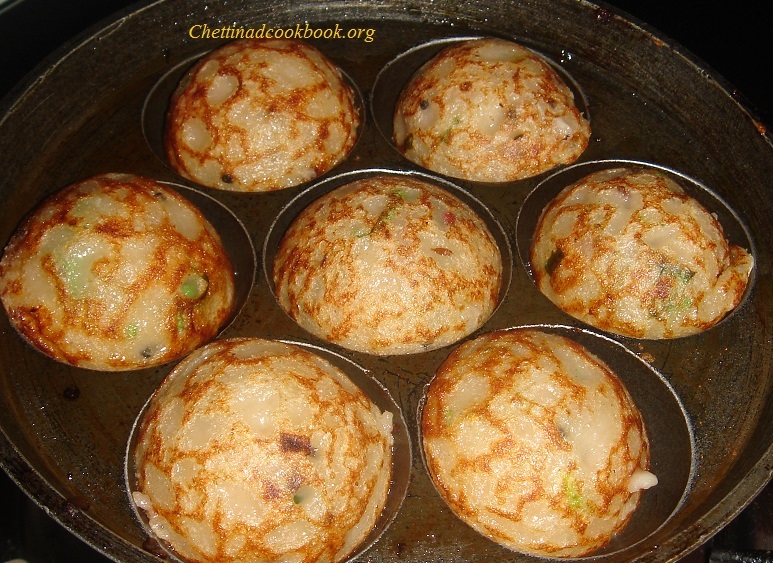 Paniyaram is south Indian traditional food served as tiffin or snack for evening.Trying varieties of paniyaram is a joy and wheat in the place of rice is preferably good for health. 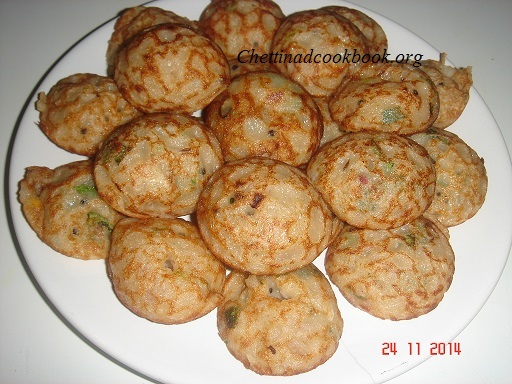 Yesterday I made this Gothumai paniyaram with red chilli chutney so yummy! It tasted awesome and irresistible.Very simple procedure no need to soak or grind for batter.Matches perfectly with chilli thuvayal. If you select 100% whole wheat products, however, the bran and the germ of the wheat will remain in your meals, and the health benefits will be impressive! Food ranking qualified whole wheat (in its original non-enriched form) as a very good source of dietary fiber and manganese, and as a good source of magnesium.Whole Grains Substantially Lower Type 2 Diabetes Risk,It help to Prevent Gallstones,Whole-grain whole wheat flour is a full-flavoured flour containing vitamins, minerals and protein. Whole-grain whole wheat flour is more nutritious than refined white flour. Coconut -2 tbsp or finely chopped adds more crunchy. Heat pan season with above “To temper”ingredients,add chopped Onion saute well until half cooked. Add ginger and curry leaves saute for a while. 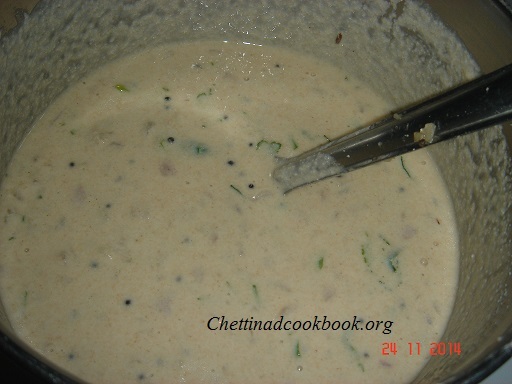 Now mix all with the batter,add chopped coriander leaves and coconut. 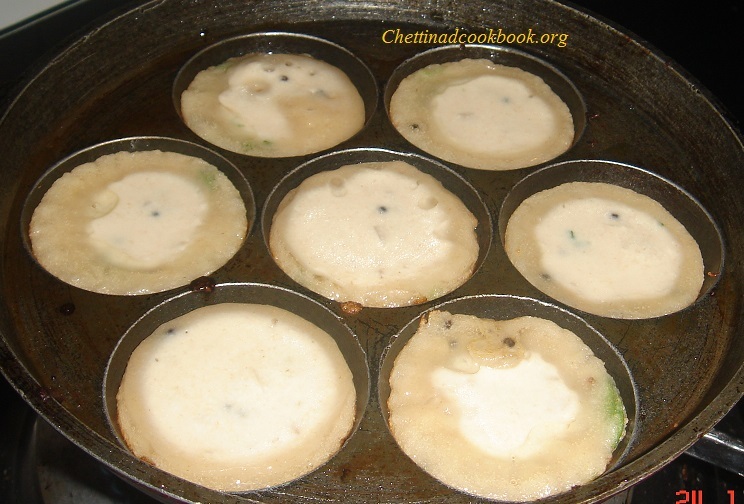 Heat Kuzhipaniyarakkal sprinkle some oil, pour batter on each Kuzhi. When the edges changes its colour flip off and cook other side. Enjoy with Red chilli chutney. Note:You can use grind whole wheat-1 1/2cup, and rice-1/2 cup,urad 1/2 cup soak and grind as we do for idly batter needs to ferment for 5 hours.